Okay, this is an essay for all the folks who think I’m advocating lying. You’re welcome to twist this one in that same direction. But you’ll be missing the point. If Bjorn Lomborg had somehow made a really, really good movie about global warming — of the sort that told a good story the way that Morgan Spurlock did with “Super Size Me” in 2004 (he told the STORY of a human guinea pig — himself — subjected to a month of nothing but McDonald’s food) — you would now be seeing ALL of your favorite climate scientists on television. Jim Hansen, Mike Mann, Michael Oppenheimer — they would ALL be out there, suddenly in high demand, along with Naomi Oreskes, James Hoggan, Chris Mooney, Gavin Schmidt, and Michael Spector. There might even be calls for congressional hearings and a special episode of Oprah. Even if it were a total anti-climate science polemic packed full of lies and distortions, if it were truly interesting, entertaining, and appealing to a broad audience, it would be a good thing for this supposedly super-important issue of global warming. Especially if the pro-climate science folks were ready and waiting to launch an even better movie that tells their side of the issue. As they say in Hollywood, a rising tide floats all boats. If you have a movie in production about the life story of Liberace and you suddenly hear that someone else is just finishing another movie about Liberace, you don’t hope that their movie is terrible. To the contrary, you pray that they have made an excellent movie that will be so good audiences will want to get a second dose of Liberace by seeing your movie when it comes out. And they will, if that first movie is good. People like good stories. But if the first movie stinks, you literally won’t even be able to find a distributor for yours, no matter how good it is. There are countless stories like this in Hollywood over the ages. 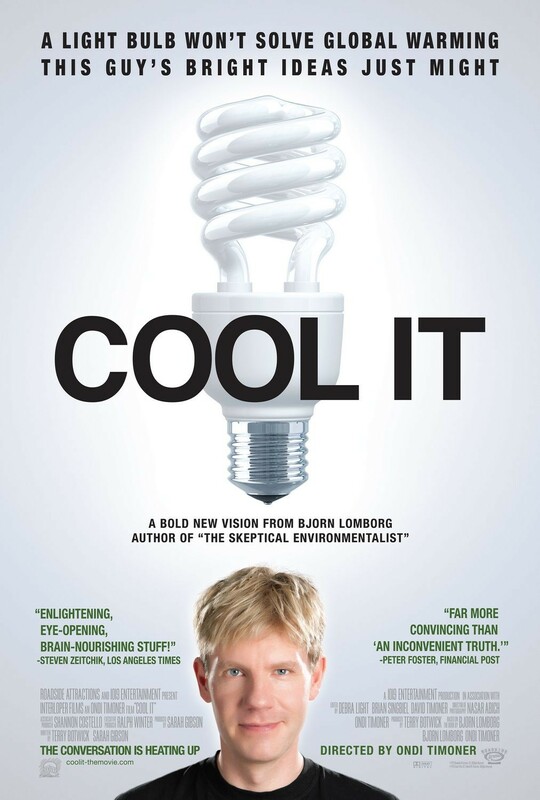 CLIMATE CATASTROPHE: Here’s the numbers for Bjorn Lomborg’s movie, “Cool It.” It’s not good. For starters, why did they open it on 41 screens? 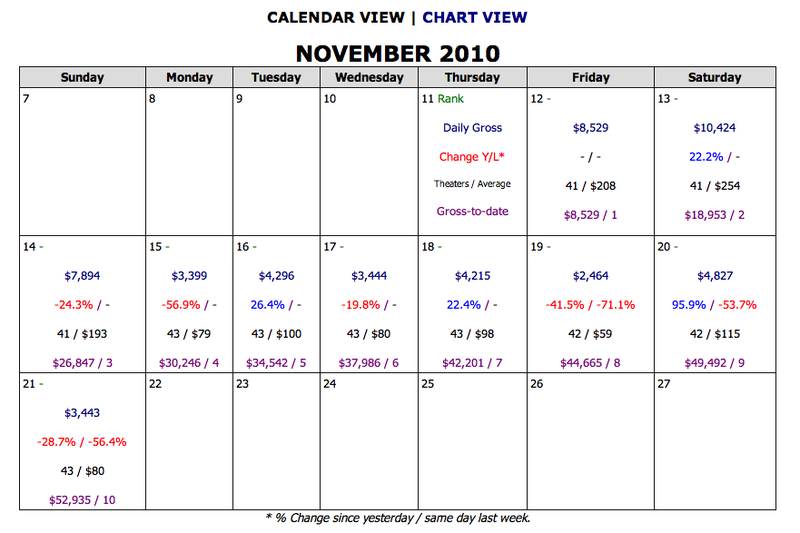 The first day average was $208 per screen? Yikes. That’s like 20 people per showing. The Gore team, not even knowing they had a gigantic box office hit, was careful enough to open their movie on only 2 screens each in NY and LA as they tested the waters. It’s not good news for anyone. Boredom is costly for all parties involved. And particularly awkward when the subject matter is the possible end of the human race. If you are seriously worried about global warming and climate change, you need to begin by fighting the war on boredom. It’s humanity’s only hope. 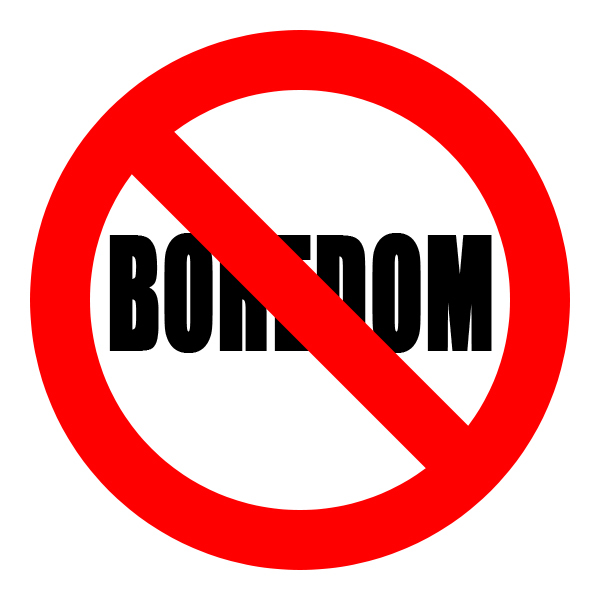 JUST SAY NO TO BOREDOM. This Thanksgiving, give thanks if you’re not totally bored.